For storage and freeze of breast milk. 100% BPA free. Pre-sterilized and disposable. Content: 20p..
To store and freeze expressed breastmilk Pre-sterilized with gamma ray Comes with leak-proof doubl.. 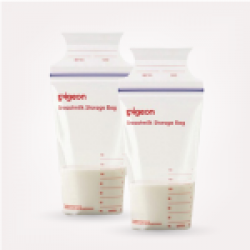 Useful for storing excess milk or to directly feed the baby from the extracted milk. They can be use.. Useful to store excess milk or to use for feeding the baby directly (4 pieces pack)Airtight seal..
Hands-free pumping – the best for youThe new Medela Easy Expression bustier is compatible with M..
With the new, advanced bustier mums can express milk easier than ever before. With the new Medela Ea.. Features & BenefitsEverything you need to start pumping: Includes tubes, bottles, membran..
Great for always having clean parts ready to go. Authentic medela spare parts are engineered, tested.. Safe, quick and practical: with Medela Quick Clean Microwave Bags you can disinfect breastfeeding ac.. The Medela PersonalFit™ Breastshield 1-Pack allows mothers to choose the breastshield that is the ri..
One size does not always fit all, so Medela developed Personal Fit Breast Shields in a range of size.. Features & BenefitsMade without BPA: All parts that come into contact with breast milk ar.. This essential cooler is a mom favorite as a feature of Medela double electric breastpumps. It's com..
Transport your breast pump and milk safelyBreastfeeding means you can give your baby the best st..
1. To be used with Closer to Nature bottles 2. Handy pack of four 3. 2 oz capacity per pot 4. Dis.. Features & BenefitsHygienically pre-sealed: Ready to use Double zipper seal: Prevents l.. Built for durability to protect precious breastmilk Self-standing bag features leak-proof doubl..